Our signature blend. Perfect everyday brew; Brits' favourite (and they know something about good tea). Description: The blend includes three delicious teas: Assam, Ceylon, and a Lovely Rwandan blended to give a balanced, malty, zesty alliance; long story short: perfect cuppa. When you buy our everyday brew a contribution towards our ethical scheme, local farmers and their traditional methods of harvesting and drying tea is made. 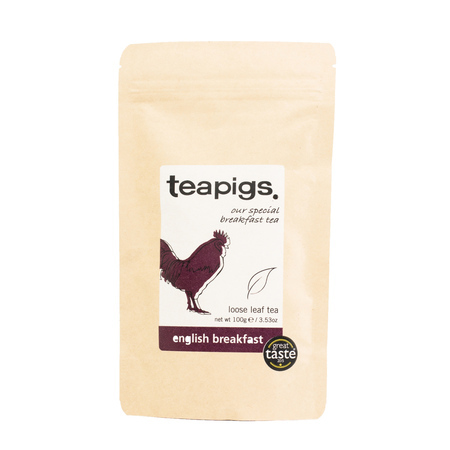 Buying teapigs English breakfast tea you will be supporting the noel orphanage which is adjacent to the tea estate from where we source much of our tea. We’ll be donating 5p from each 15s pack and 15p from every 50s pack to the orphanage. Individually, it might not be spectacular; however, each help is worth its weight in gold. Thanks to that, you not only drink delicious tea but also you do a good deed right after getting up - nice, isn't it? How does it taste? 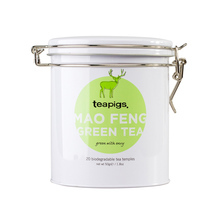 Distinctive, strong tea full of taste. 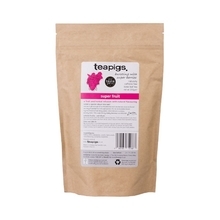 Teapigs describe this tea as rich in taste and strong, sweet and spicy. Drink it when you want, this cup is perfect for any mood any time of day. 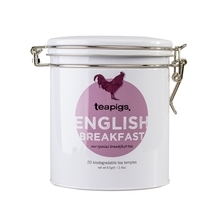 If you’re feeling slightly grizzly, brew a cup of English Breakfast, it’s a guaranteed hug in a cup! If you’re in a brilliant mood, it will make you feel even better. Enjoy a cuppa and feel great - Hurray! Contains natural caffeine. Remeber, no cheap tea powder will ever offer you such taste experiences as teas with selected whole leaves. Proud holder of rainforest alliance certificate. 2 teaspoons per person, brew for 3 minutes. This tea may require a bit more patience when brewing than tea bags but its taste will more than make up for for it! How we like it? The simpler, the better - we recommend adding a drop of milk. Try also iced version! Brew tea as usually. Remove sachet after 3 minutes and place a dish in another container with icy water to cool down, add a slice of lemon. Enjoy!